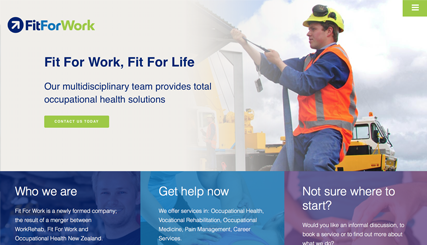 We have also established a digital marketing campaign, including Google AdWords and work with Fit For Work on a monthly basis to promote their website online. Our goal was to have a new website that would lift our brand within our industry and to generate new enquiries. We also wanted to increase our market share and encourage potential new staff to make contact. I'm very pleased to say that Limelight have exceeded our expectations in meeting these goals and have produced a clean, easily navigable and professional website that clearly aligns with our brand. We've also begun to reap the rewards of strong visibility in the search engines following the implementation of a focussed digital marketing campaign. Limelight Online is an excellent company to deal with; they’ve made the process very easy and they have my recommendation.